At Greenacres Haven in Porthmadog you will experience both the stunning coast line from the beautiful sandy Black Rock Beach and mountain views of Snowdonia National Park. There is also the nature reserve which is great for exploring. The entertainment complex at Greenacres has lots to offer all the family, at every age. 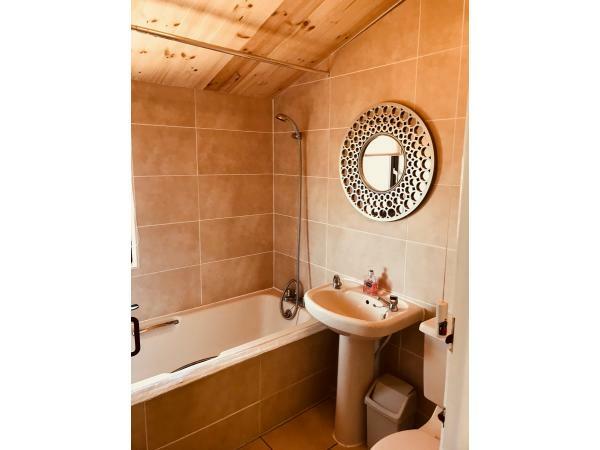 Or you may prefer to just relax at the chalet where you can enjoy the peace and quiet. For days out, you will be spoilt for choice with Portmeirion, Caernarfon Castle, Ffestiniog Railway, Welsh Mountain Railway, slate mines and lots more places to visit. Also there is the local Cadwaladers ice cream shops for a special treat ! In the local town there is a variety of shops selling local produce, plus restaurants, pubs and supermarkets. Please note passes are not included and will have to be purchased from Reception. Lovely lodge very close to beach and site amenities. Plenty of room for us all and Jo the owner was very accommodating and easy to book our holiday through. Thank you for letting us use your lodge.